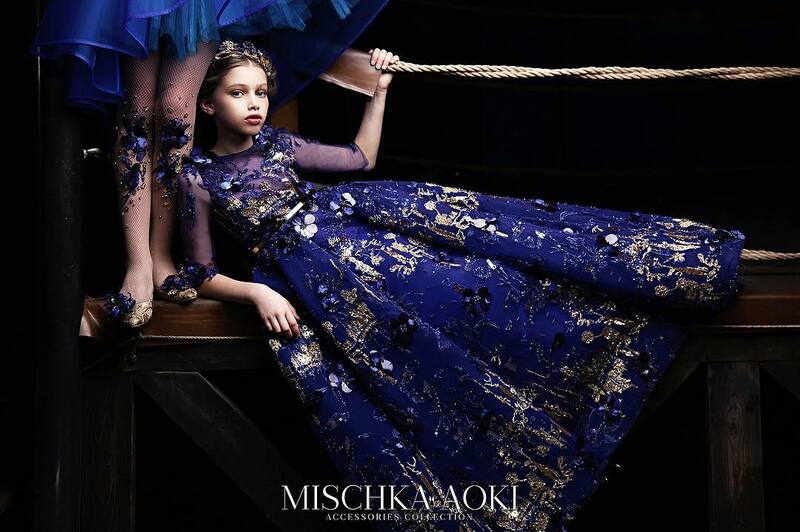 For special occasions, new ready-to-wear pieces embellished by whimsical animal illustrations by artist Yuko Higuchi. 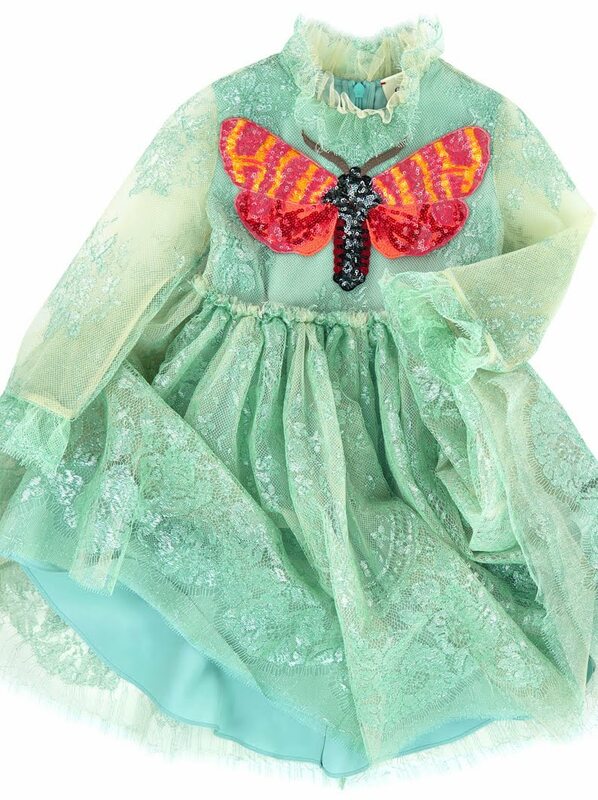 Embellished with a sequined and embroidered moth motif from the adult collection, this is an exquisite dress by Gucci. Pale green iridescent lace skims the soft crêpe de chine lining, and it fastens with a concealed zip on the back. 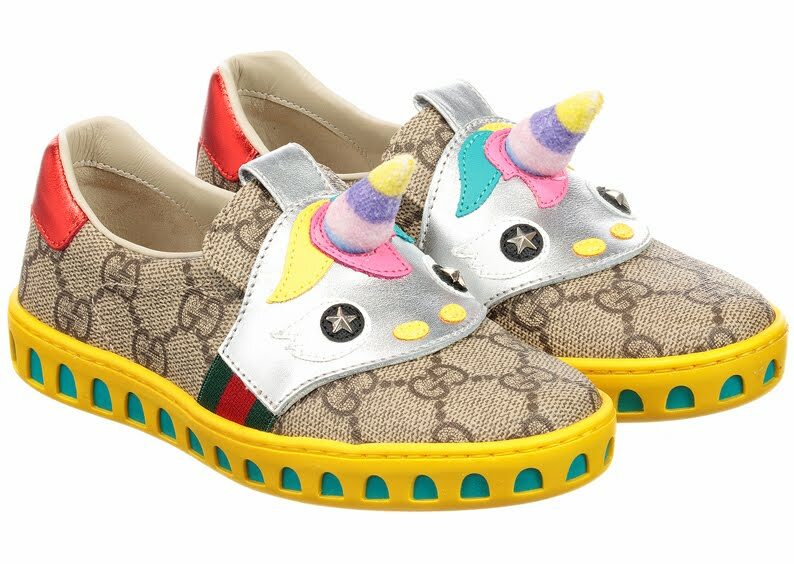 Girls luxury shoes by Gucci, made in beige GG canvas with a striped unicorn horn and contrast yellow rubber soles. 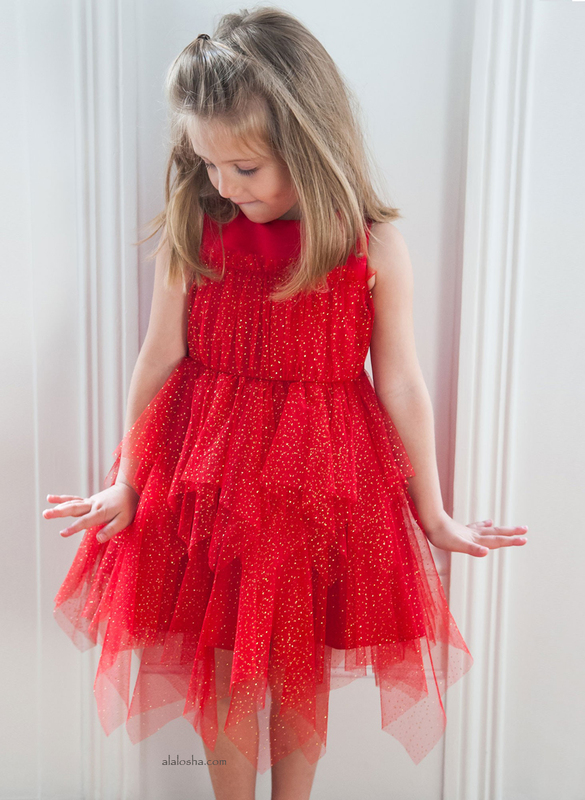 They are embellished with metal star studs and metallic details and have elastic Web sides for easy on and off. 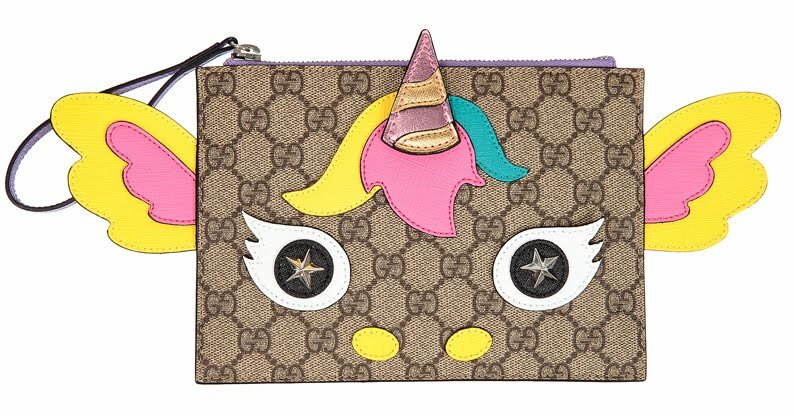 Girls luxury clutch bag by Gucci, made in beige GG Supreme canvas with colourful unicorn appliqué and metal star studs.